Podcasts are the Millenial’s best friend. We all know I’m not the best Millenial, so I was slow to get on-board with podcasts, but after being featured in several episodes of Cast and Spear, I was hooked. 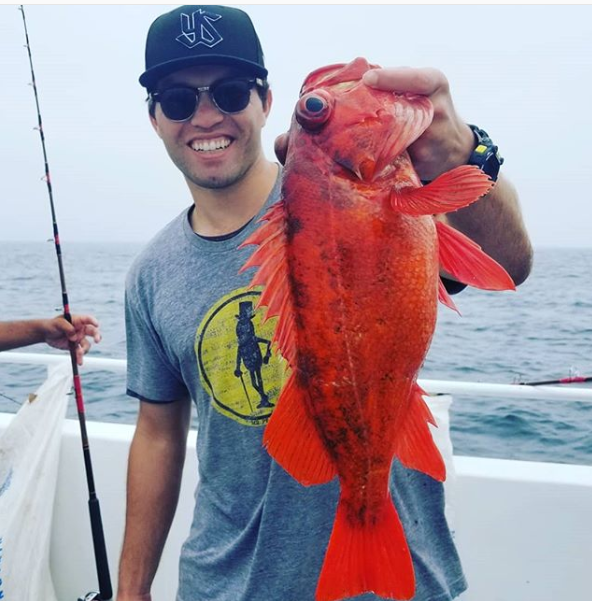 Jon lives to fish and bases most of his adventures out of Southern California where he is just as likely to hold a rod and reel as he is a speargun. Jon Stenstrom lives in Southern California and offers up fishing advice by bringing in subject matter experts to talk about their area(s) of expertise in both the rod-and-reel and spearfishing communities. He has some real-life experts on his podcast, including Steve Wozniak (1000fish), but I’m on there, too! I’ve filmed five episodes with him to-date. Check them out below! Keep checking back for more industry partnerships and tight lines!